The primary purpose of our Professor Valley Field Camp is to host student and youth groups for outdoor education learning experiences. When not in use for student groups, the field camp is available to educational and family groups who wish to combine our naturalist-led outings with the group's own programming. There is a minimum of 20 person fees per night. 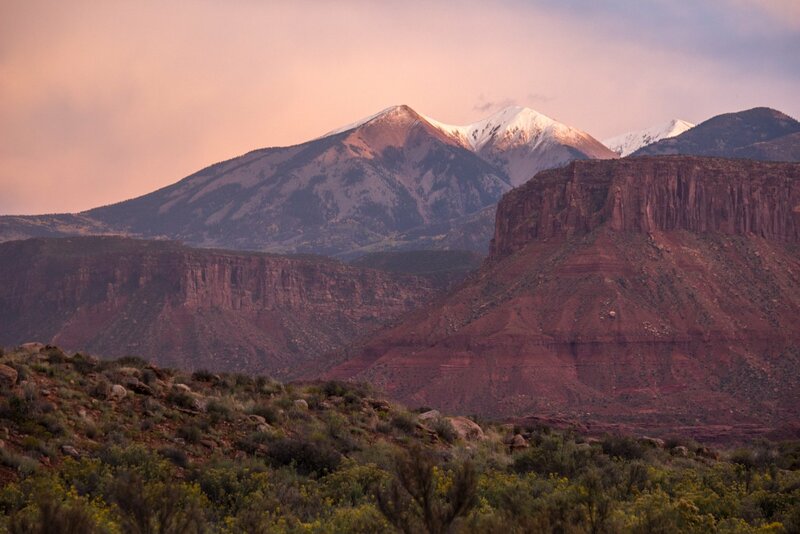 Please contact the Moab area travel council if you are simply looking for campground options; there are a variety of public (Parks, BLM, USFS) and private campgrounds in the area. You can't beat the privacy, beauty, and quiet of Professor Valley. This is camping but with some basic amenities. Our developed area is about two acres on the east side of Professor Creek; a woodland along the creek offers great wildlife watching; there are relatively undisturbed open acres to the west. The site is surrounded by BLM public land to the east which offers backcountry trails. During our peak weeks of Outdoor Science School in spring and fall, weekends are available (Friday evenings through Monday mornings.) During summer and either early spring or late fall, the camp could be available weekdays as well. Fees are based on a minimum of 20 people i.e. 20 paid spots. There are two restrooms with flush toilets and outdoor wash sinks. However, there are no showers at our field camp. A portion of our metal barn can be used for storage and inclement weather. There is a very simple outdoor kitchen under the barn overhang with sinks, picnic tables, and running water. 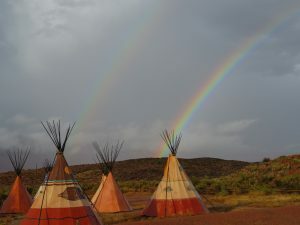 There are tipis with cots (16 ft size with three cots and 20 ft size with 5 cots each) and two yurts as a classroom with folding chairs. 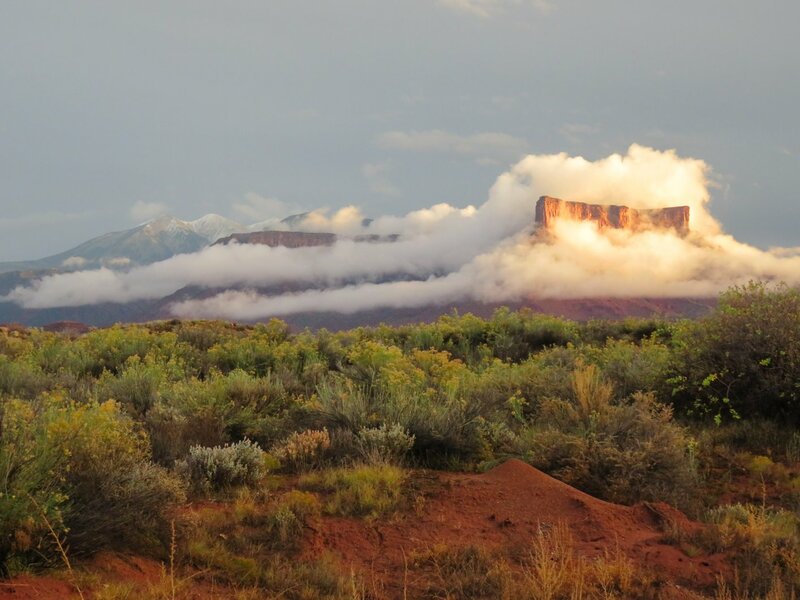 We do not allow visitor pets at our Field Camp; there are pet boarding options in Moab. There is no smoking on the property. We offer two plans, both with CFI staff Naturalist Guide on site as host/ educator plus a camp caretaker. The "with meals" plan adds a CFI camp cook and assistant depending on the group size. Fees: $110/person/night for first 20 people then each additional person $60/person/night. Maximum occupancy: 60 persons. Our fee structure is based on a minimum of 20 persons. Deposit/Payment: Deposit is the equivalent of the fees for 5 persons and is non-refundable. The balance is due 30 days prior to the rental period. Occupancy begins between 4 pm and 5 pm on the first day of the rental period. All visitors should arrive no later than 5:30 pm for orientation and an orientation tour, etc. Groups should depart after lunch on the last day (approx. between 1- 2 pm). We can make a “box/sack” lunch to take with you if you prefer on the last day. Groups need to submit a list of people, food, and medical concerns prior to rental period. For groups with students under 18 years of age, we require CFI registration/risk forms signed by parent/guardians in advance. Groups must arrive and depart as a unit within a one hour time window to interact with our host naturalist guide and other staff. 3 meals, 2 snacks, We do the menu planning and shopping ahead of time and can work with your requests on food within reason and given our remote location. Our standard recipes provide vegetarian options at all meals. tips and sleeping cots (sleeping bags are available for rent for an additional fee). 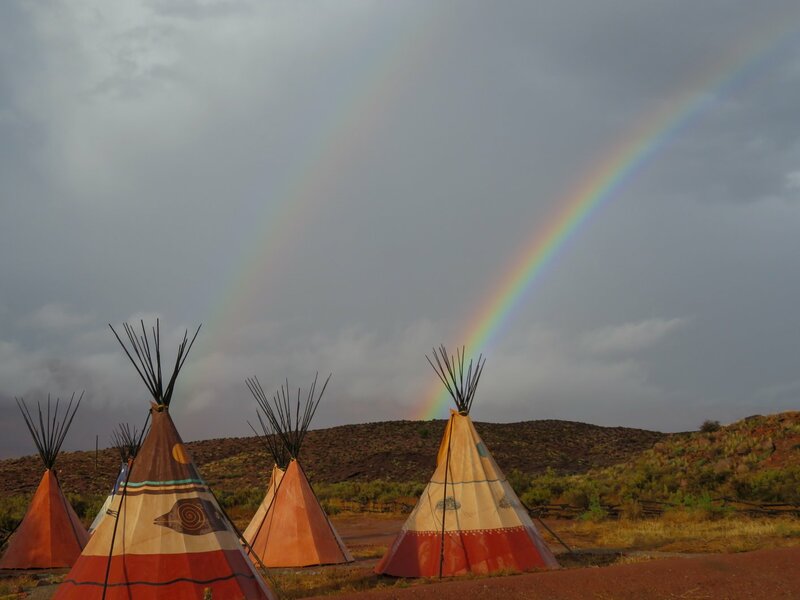 Tipis have a natural earthen floor, bring a tarp for your "floor." Half hour camp orientation/tour and a 1-2 hour “naturalist” program on site or near the site (Introduction to Colorado Plateau Geography, Geology overview, Night Sky Interpretation, Plant & Wildlife Signs Walk are options. Kitchen set up with a camp stove, propane, utensils, dishes, and cups. Guests are asked to take turns in the kitchen as cook's helper and to do their own dishes in a dish line. Our staff does the pots, pans and kitchen clean up. We also offer other services such as pre- or post-trip all day guided hikes, van tours or river trips for an additional fee. Clients who book a retreat at field camp and elect to add on one of these trips will receive a 10% discount on the overall program fee for the river trip, guided hike, etc. Bring your own food in coolers and animal proof boxes and have use of our outdoor camp kitchen shelter and some of the barn space, classroom yurt, toilets. Cleaning supplies provided. You bring your own camp cook stove, propane, dishes, pots and pans, silverware and food storage in rodent proof containers and coolers. CFI staff Naturalist Guide and camp caretaker on site to provide facility orientation, and provide 1-2 hours naturalist program. We ask that you feed our guide with your group! Fees: $40/person/night for first 20 people then each additional person $18/person/night. There is one free spot for the group organizer once the 20 minimum is met. Deposit/Payment policies are the same as Plan I. These clients would also be eligible for the 10% discount for add on services, such as a one day river rafting trip, guided hike, etc.